The one about Alastair Macauley and his obsession with the dearth of male/male or female/female duets in classical ballet. The one about marriage, namely the case against. A part of my dark heart really really wonders what the point of marriage is. It just complicates things, what with inheritance laws, rights to visit loved ones in hospital, tax inequities. The one about Newton Arvin. Mostly I want to know why my mother ripped out a 1998 piece from the New Yorker, entitled The Scarlet Professor. Was it just because he'd been a professor at Smith when she was there? Was it the Truman Capote connection? Had she read the Melville biography? 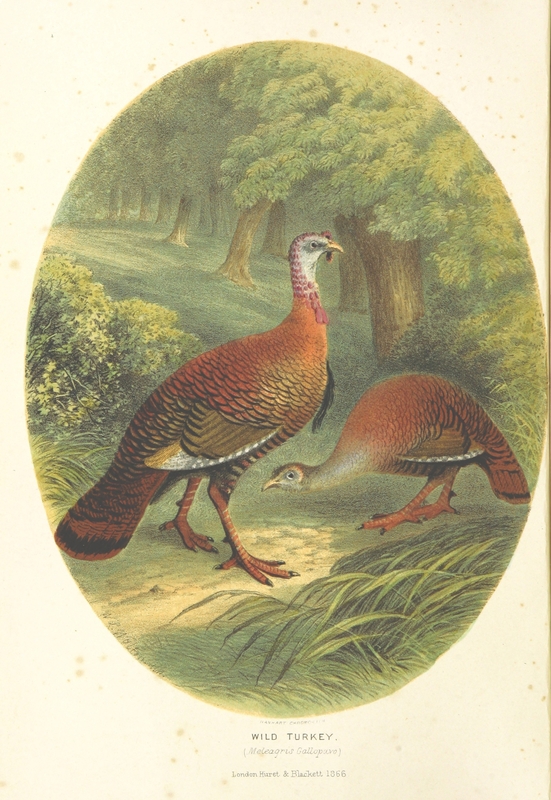 May your turkeys be wild and your cranberries be juicy! 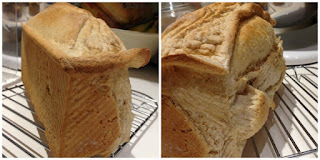 For our anniversary back in June, my sister-in-law gave us a pain de mie pan - loaf pan with a lid to make a soft-crusted sandwich bread that cuts up into perfectly square slices. I have been working on the bread ever since, with varying degrees of success. I didn't like the first recipe I tried. One day, the bread didn't quite rise into the corners, so the square slices weren't square. Once it was pretty close to perfect. Today the bread failed spectacularly. The recipe calls for baking for 25 minutes with the lid on; you then remove the lid for another 5-10 minutes. The timer went off, I opened the oven, and discovered that the bread had forced the lid off the pan and knocked the whole thing on its side. Alas, I failed to get a picture of that carnage, being so stunned that I just closed the oven because I didn't have to take off the lid. That bread was fierce! The only thing I can think that caused the break out is that I used bread flour instead of the specified all-purpose. You can be sure I will try it again; I am bound and determined to tame that recipe. And don't get me wrong - despite it being what my sister-in-law dubbed "a new and spectacular standard for ugly", a piece off the crusty end went nicely with my dinner soup. There is something delightful about listening - on a chilly November day - to a song shot through with crickets. In my spare moments I have been working on a unified theory of dessert. One of the people who is coming for Thanksgiving dinner said she would bring a French silk pie. Okay. Then another guest said she would bring a pumpkin pie. I sighed, not so much because I don't like pumpkin pie, but because it meant that we would have two desserts that were essentially the same - a pie crust filled with a brown custard. This is wrong, in the unified theory of dessert. One brown custard pie is fine. If there is a second dessert, it must be different. Gingerbread? Nantucket cranberry pie (which is really a cake)? Something other than a brown custard. 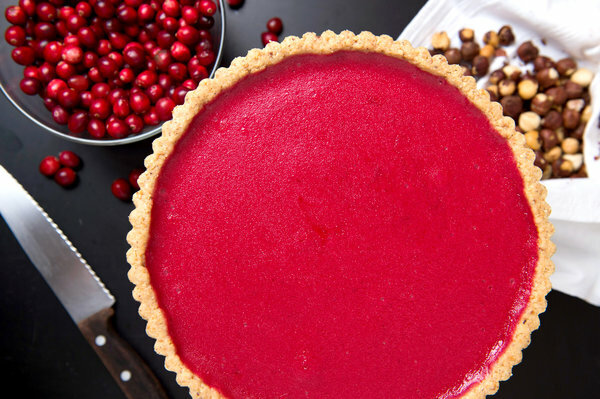 But then the New York Times came out with a whole mess of ideas for Thanksgiving - including a cranberry curd tart. Aha! In the unified theory of dessert, three open custard filled tarts, of different colors, is okay. So the hazelnut crust is in the freezer, and we will have pale brown French silk pie, a burnt sienna pumpkin pie, and a ruby red cranberry curd tart. And maybe I'll make a gingerbread, just for the hell of it.